It's hard to believe that it's June already. 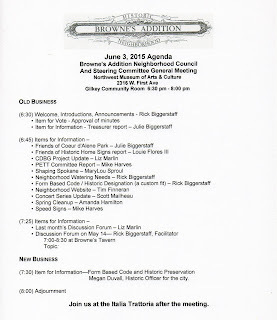 Please join your neighbors on June 3, 2015 at 6:30 pm, downstairs at the MAC for the General Meeting of your Neighborhood Council. You can expect updates from all of the various sub-committees and project coordinators, as well as information regarding Form Based Code and Historic Preservation from Mary Duvall, Historic Officer for the City of Spokane. 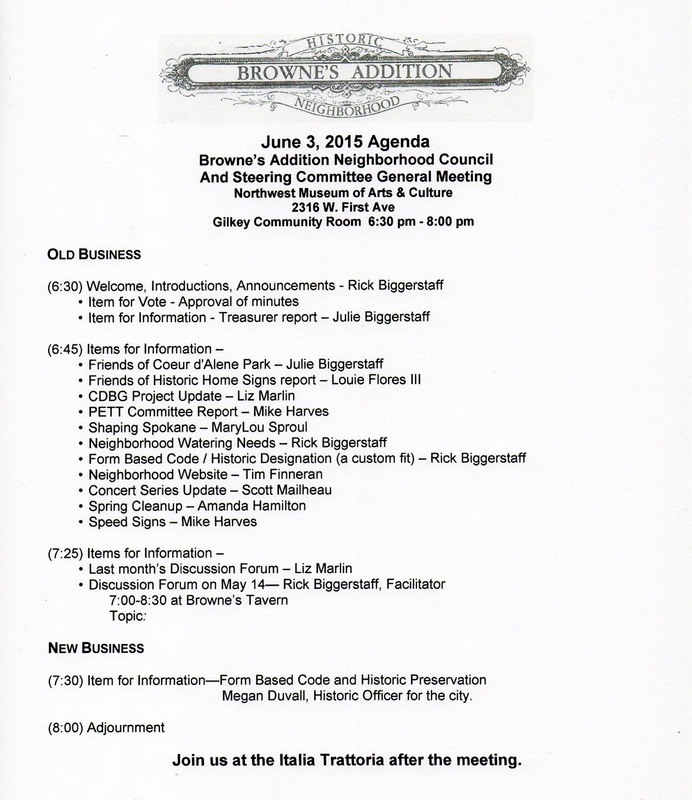 Here's a look at the agenda. I hope to see you there. I'll save you a seat!